The Makita DLM431Z Cordless Rotary Lawnmower features fast charging 2 x 18 volt 5Ah batteries that gives around 30 minutes of run-time and is suitable for lawns up to 950m² (batteries sold separately). 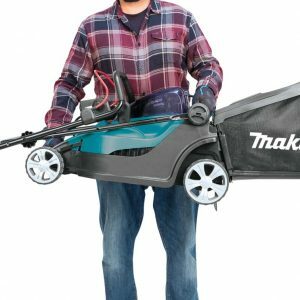 The height adjustment on the Makita DLM431Z can be set between 20mm and 75mm and comes supplied with a 50 litre grass box. 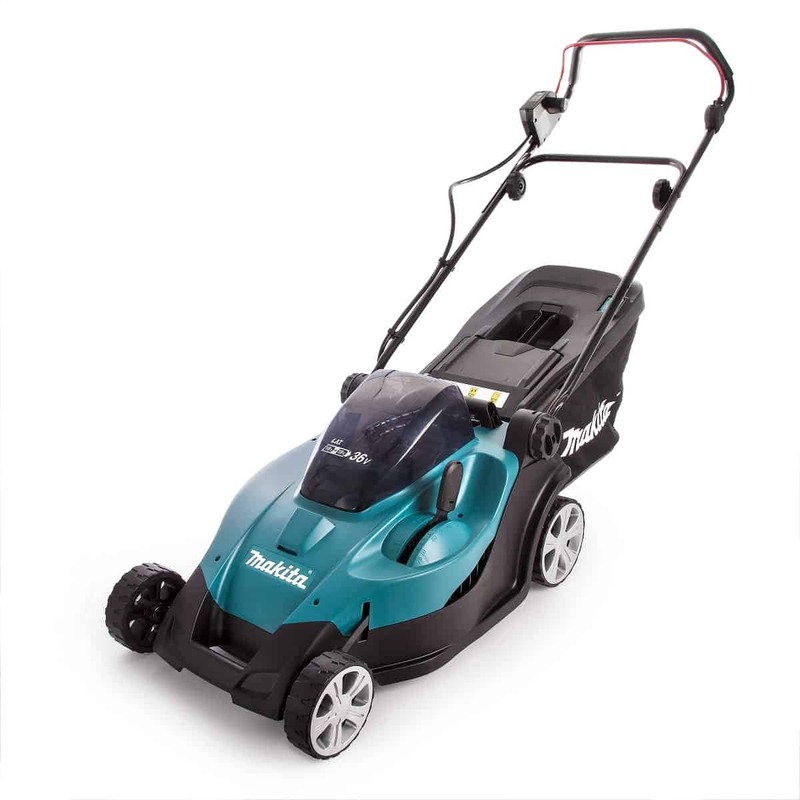 The Makita DLM431Z Cordless Rotary Lawnmower weighs 17.8kg and has a large 43cm cutting width. Makita has been going for more than a century and they have developed a solid reputation for leading technology and reliability. 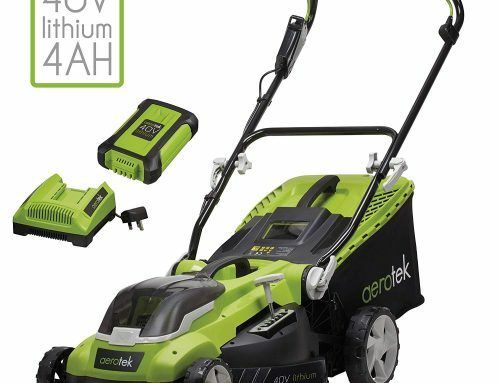 They are perhaps best known for quality power tools but they also make value for money dependable lawn mowers and other garden equipment. The Makita DLM431Z is a 36V cordless option with many outstanding features. 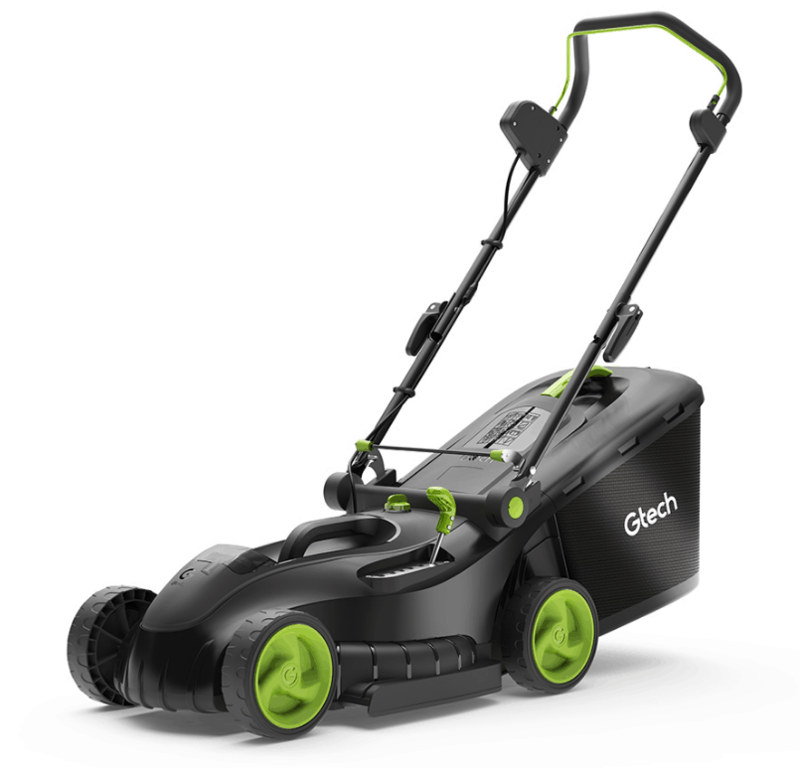 Although slightly heavier than some cordless lawn mowers this machine has a large 43cm blade as well as a generous grass box that will make cutting your lawn fast and easy. Let’s take a look at some of the key features and then I will go into a bit of detail on the important points to note. The Makita DLM431Z uses 2 x 18 V Lithium-ion batteries. 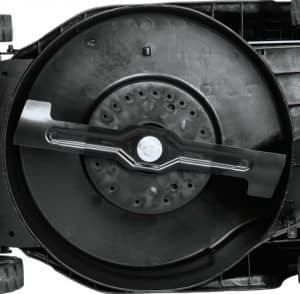 These are connected in series to deliver a powerful 36 V to the motor that gives you up to 36,000 RPM. This gives you sufficient power for most situations and conditions in a small to average garden. The 5 Ah batteries will give you approximately 30 minutes of operation and they recharge very quickly in just 45 minutes and yes with a dual charger that’s for both batteries. 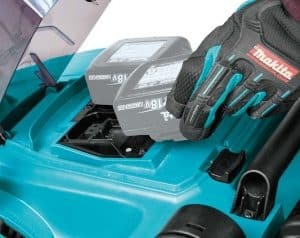 A great feature not found on other cordless mowers is the dual battery gauge on the upper part of the bars, making is easy and convenient to see the power left in each of the two batteries, nice touch Makita! 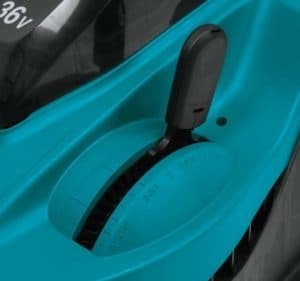 Makita sells this lawn mower as a “body only” machine. This means that you will have to purchase the batteries as well as the charger separately. What’s great about this system is the batteries for this mower will fit over 200 other Makita power tools so are interchangeable. 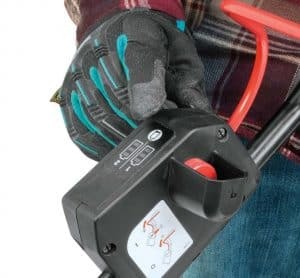 Yes you do have to purchase the batteries and charger separately if you don’t already have any Makita tools, however the Makita batteries are not over priced like some brands of lawn mower. To get an idea as to the price of the batteries and charger I have provided a link below. While some minor assembly is required, this is quick and easy. This is backed up by feedback from customers that have bought this lawn mower and found it simple to assemble. Makita supply a socket wrench to assist with assembly and is the only tool required for assembly. The Makita DLM431Z uses a 43cm rotary 2 tooth cutting blade. This is somewhat larger than average for lawn mowers in this category. It will allow you to cut the grass faster with few passes and less effort. There may be a marginal compromise on accuracy when compared to smaller blades so it is all a question of garden size and your priorities. If you have a lawn that has lots of narrow strips of lawn around flower beds for an example a smaller deck size may be better suited. This Makita mower will get the job done more quickly due the the power and large deck size. 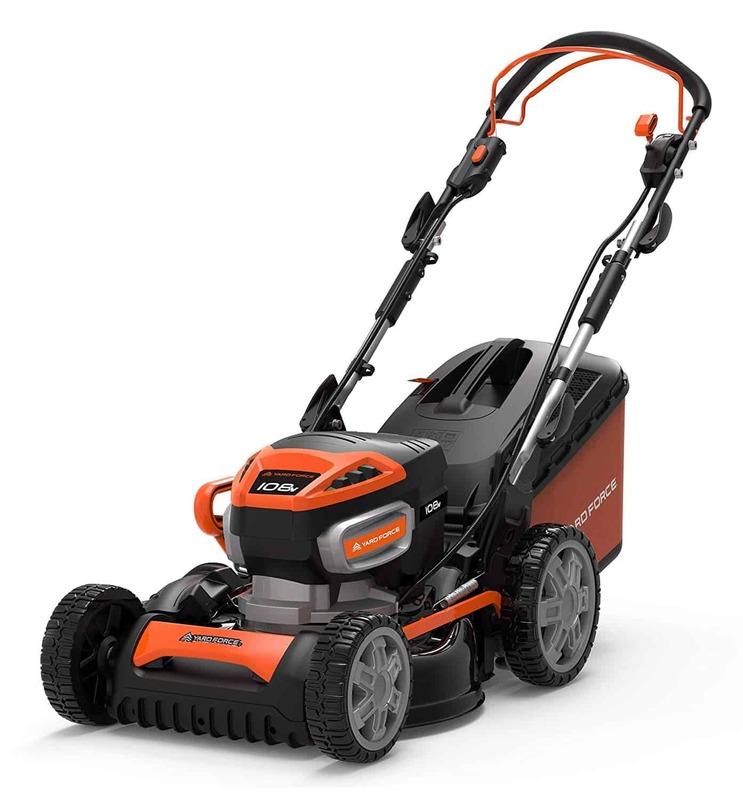 If you wanted a smaller deck size than the 43cm on this mower, you could take a look at the Bosch Rotak 37 LI Ergoflex. The metal blades are sharp and efficient. They will need to be sharpened from time to time and eventually need replacing but this is easy and not expensive. Definitely one of the outstanding features of this lawn mower is you get an amazing 13 options to adjust your cutting height. This is more than average and allows for precision height cutting. This is an important aspect of creating the perfect lawn so for those that want flexibility and precision, it is a great option. The lever is super simple to adjust and will let you move from 20 to 75mm. Numerous factors will determine the ideal height to cut your grass but the Makita DLM431Z will cater to all your requirements. What’s more, is that it does it in seconds with no effort required. The perfectionist and the average person will appreciate the wide range of options. If you want a perfect lawn all year round, this is a great option. As discussed above, the Makita DLM431Z has a large deck and a relatively large 43cm cutting width. Although designed for small to medium gardens, this advantage will make fast work of your lawn maintenance. Unless you have many intricate curves and bends, you will be grateful for the generous cutting diameter. 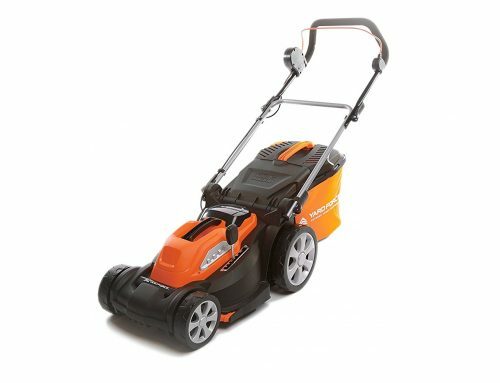 As with many cordless models and lawn mowers designed for small to medium gardens, this lawn mower does not have a rear roller for stripes. While a great feature in certain circumstances, it does require regular mowing and acute operation. It is not ideal for all gardens. Another outstanding feature of this model is that is has a good sized 50-Litre grass collector. This will also add to the speed to which you can mow the lawn as it means fewer trips to empty it out. Better still, it is really easy to remove or replace and has a level indicator so you know when to empty it out. 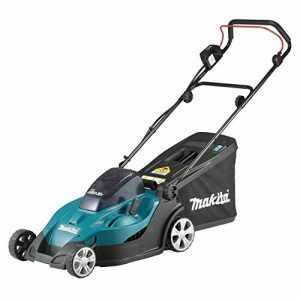 The grass collector on this Makita is semi rigid construction, meaning it has a hard plastic top and bottom but a a cloth central surround. The advantage of this type of collector is when it comes to storage as the grass collector will fold flat nicely. The disadvantage of this design is the cloth surround can get damaged and torn more easily than a completely solid construction. Having said that the cloth webbing material used is what you would expect from Makita, good quality that should last well if looked after. Makita has designed the DLM431Z to be extremely practical. Despite a larger deck and slightly heavier build, it is extremely easy to manoeuvre. The power, deck and blade size, as well as the large grass box, make it a fast way to get a good job done. The built-in ball bearings and aerodynamic design make it whip effortlessly around your garden for fast and quality results. It also has a deck cover that sits underneath the deck making it easier to push. The soft grip rubberised handles make it comfortable to operate and they fold back for easy storage. The electric brake is also a great convenience when mowing on a slope or bank. Starting could not be easier thanks to the soft-start feature and it operates with minimal noise and vibrations. It is a pleasure to use. If you are looking for something a bit lighter and smaller, the Makita DLM380Z Manual 36V Lawn Mower is also a great option. It is still a 36V motor and has a smaller deck with a 38cm cutting width. The grass collector is smaller at 40-litres. For smaller lawns (270 to 540 sqm) where speed is not critical, this is one to consider. The Makita DLM431Z has a largish footprint due to the width of the mower. The 2 screw clips on the side of the handles allows for the top handle to be folded down to reduce storage space. A further 2 larger screws near the base of the mower allow the upper and lower bars to be folder down, again reducing storage. 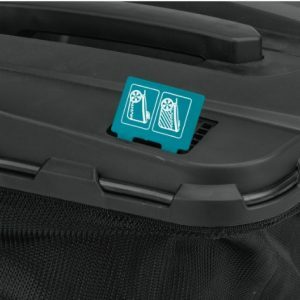 The Makita DLM431Z uses a safety button so cannot be started accidentally. The overall design makes for safe and easy movement. The electric brake further adds to the safety features of this model. There is no separate safety key with this mower. The Extreme Protection Technology (XPT) also improves safety and increases the durability of the lawn mower. 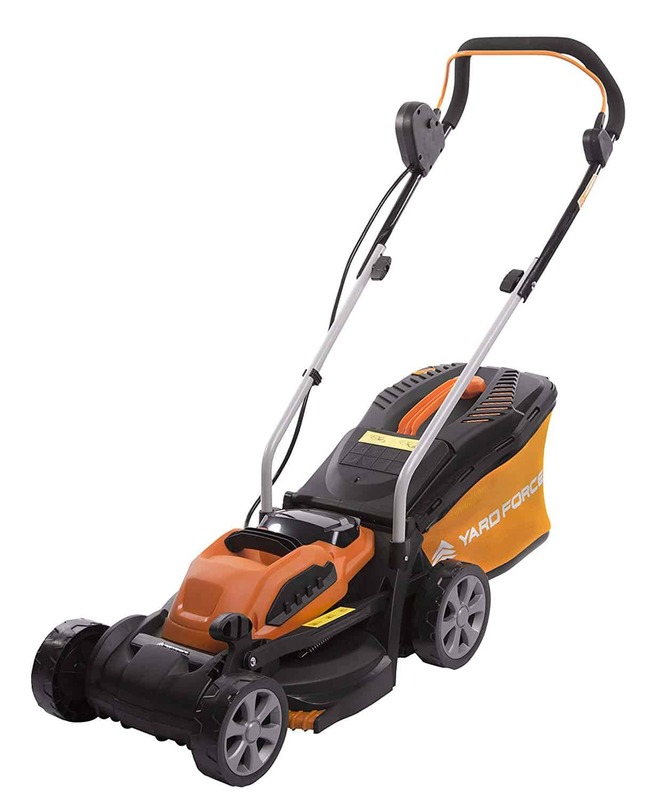 It is ideal for damp grass and even dusty areas. An additional element is a current limiter that will reduce noise and vibration while preventing any overload. 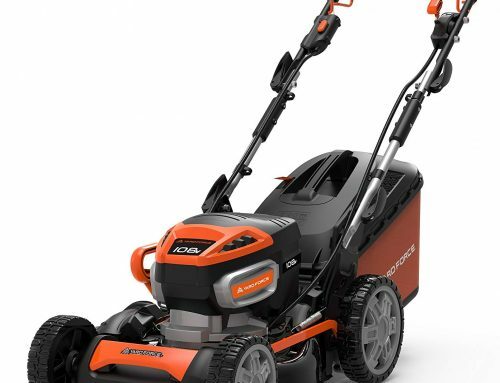 This model, like most cordless lawn mowers in this category, does not have a specific mulching feature. That is not to say you cannot add grass clippings to other organic material to create great compost. If you cut regularly, you could get away with leaving the grass collector off and let the clippings remain on the cut grass. Only do this if it is a minor trim. It is important to remember, especially when comparing prices, that this model is sold as a lawn mower body only. That means that you will have to purchase the batteries and charger separately unless you already have them. 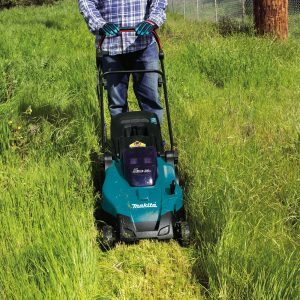 The features of this Makita DLM431Z mower speak for themselves. It is fast, robust and easy to move. The 43cm cutting width and a big grass collection box will save you time and effort. 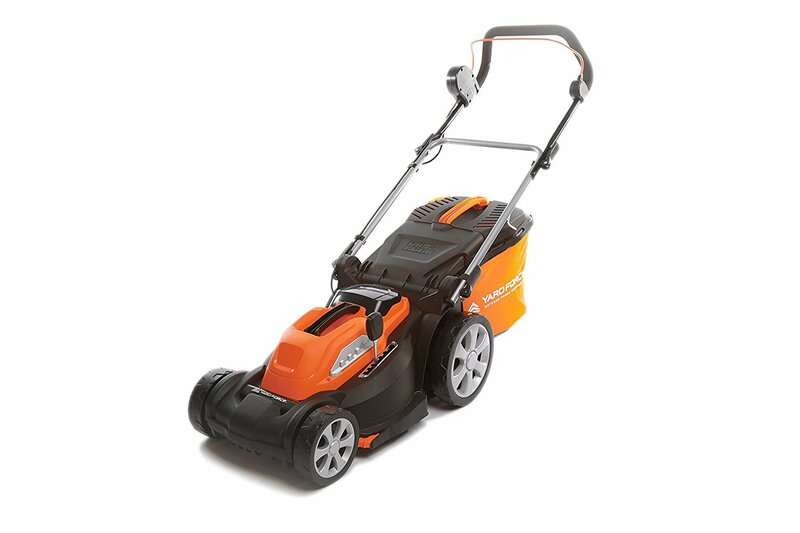 The brand is well established and trusted and this popular lawn mower is well received by customers. 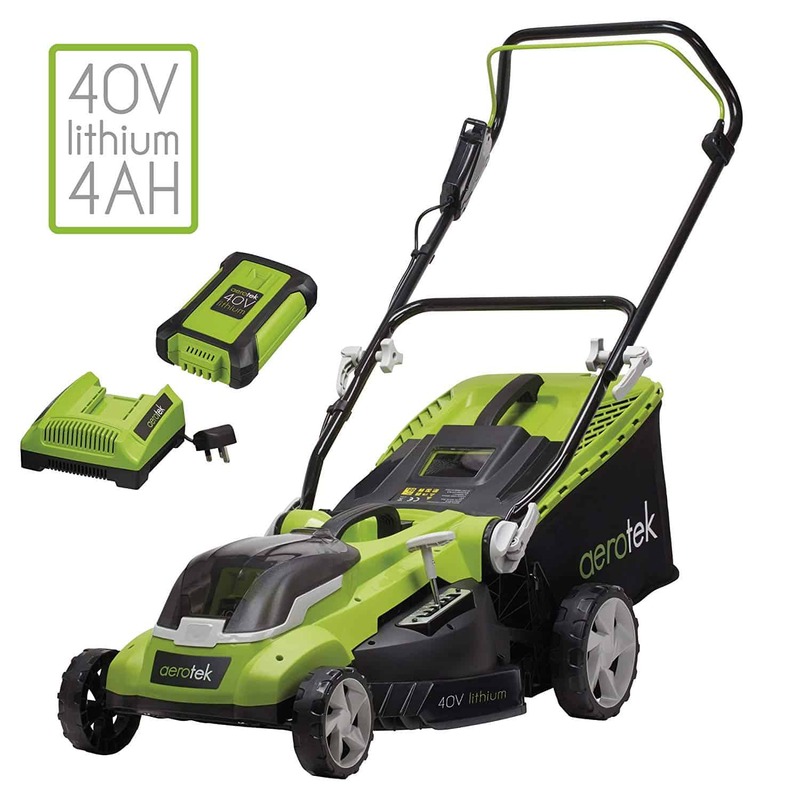 It has proved to be reliable, durable and perfectly suited to small to medium sized lawns. Makita has found a good balance between speed, power, and ease of use. This is a good choice for small and medium size lawns. 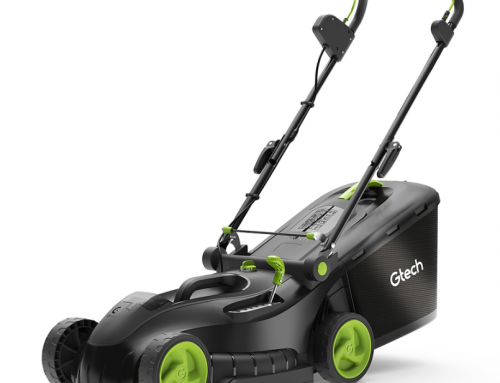 If you want a powerful and fast lawn mower without the hassle of cables or petrol than this is an ideal choice. 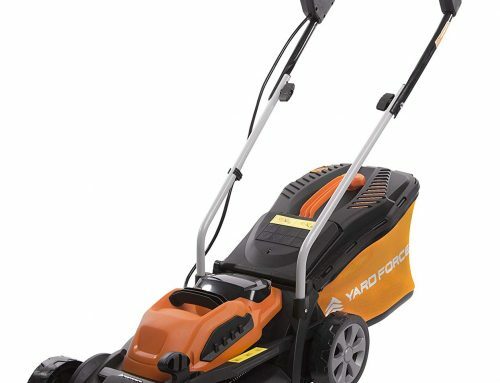 It is an easy to use lawn mower that gets the work done quickly and efficiently. You need to give some thought to your lawn cutting needs and the size and shape of your lawn. 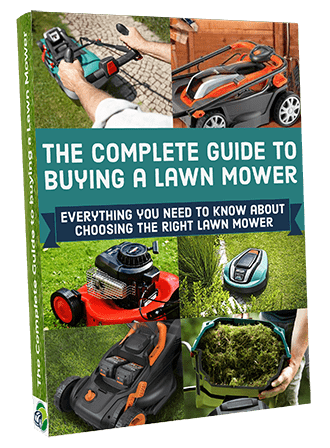 Of course this is open to interpretation so if you don’t fall under every single one then don’t worry I’m sure you’ll still find the Makita DLM431Z Cordless Rotary Lawnmower make mowing your lawn that much easier and more enjoyable. It has loads of great features that I’m sure you make use of even if you’re not its perfect customer.